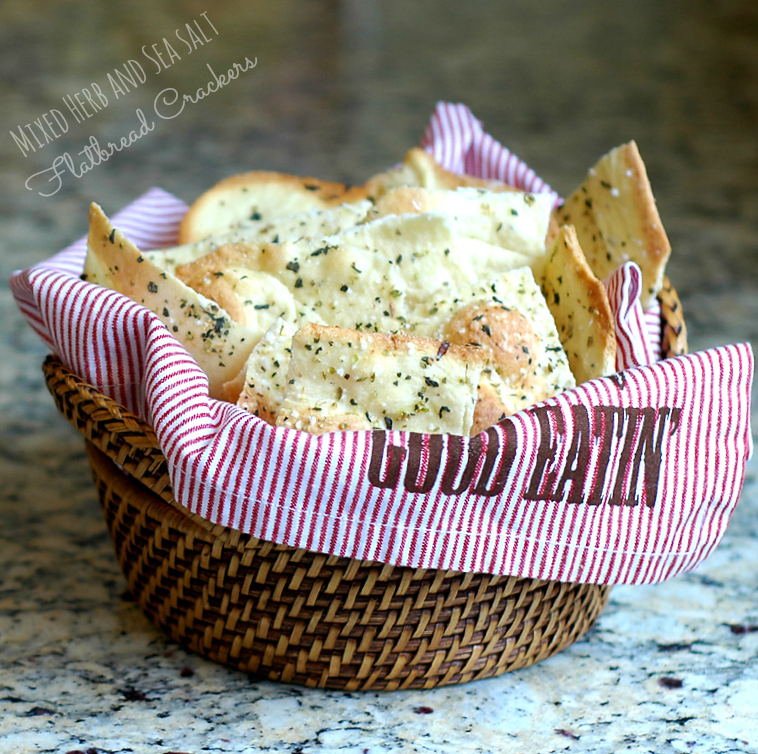 I first saw these flatbread crackers on Chow Chow Linda - one of my favorite blogs. Linda adapted the recipe from the one she found here. The recipe reminded her of the flatbread served at Cafe Fiorello in New York City. I served them to friends and family and everyone loved them! Even the non-bakers said they'd like to try making these. They are delicious with Fromager D'Affinois (my favorite soft cheese), hummus or simply on their own with a glass of wine. In a covered container they stayed fresh for about a week - if they last that long. 2 large sheet pans lined with parchment or silicone mats. Alternatively, you can oil the sheet pans. Stir yeast into 1/4 cup warm water in a small bowl. Stir in the sugar and allow to rest for ten minutes. In a large bowl, combine the flour, 1 cup of water and extra virgin olive oil. Stir in the yeast mixture and knead dough on a lightly floured surface until smooth - about 2 minutes. You can use a stand mixer fitted with a dough hook. Place dough in an oiled bowl, cover with plastic wrap and allow to rest in a warm place until doubled in size - about 30 minutes to an hour. Punch the dough down and divide into 8 pieces. Keep dough pieces covered until ready to use so they do not dry out. On a lightly floured counter, roll out a piece of dough as thin as possible into a large rectangle shape, dusting the top of the dough with a little flour to prevent the rolling pin from sticking. Place on a prepared sheet pan (tears are okay). Brush dough with the egg wash and sprinkle with the herb blend and garlic salt. Bake for about 8-10 minutes until golden brown. Watch carefully as oven temperatures vary. I used a pizza cutter to cut the flatbread into strips as soon as the bread came out of the oven, but you can also break them into irregular shapes by hand. Next time, I might even try cutting the dough into strips before it goes into the oven. Any left-over herb blend can be used to make olive oil dipping sauce for bread. This recipe can also be used for pizza crust. Oh, these look so wonderful. We have a dressy restaurant here that I have blogged about La Caille and they serve a flatbread like this but when we went last time they didn't serve it! I have made a copy of theirs for dinner parties and people do go crazy over it. Theirs just had sesame seeds on them. I am going to try yours. These sounds even better and are so beautiful. Glad I mentioned the table cloth site. The pinwheel pinch pleated tablecloth I did for the engagement table was also from there and was only $24 for 120 inch. They don't have it in the 132 inch though. I have always wanted to try making my own crackers. These look great, though I'll have to modify the exotic ingredients. Those crackers look delcious, Susan. 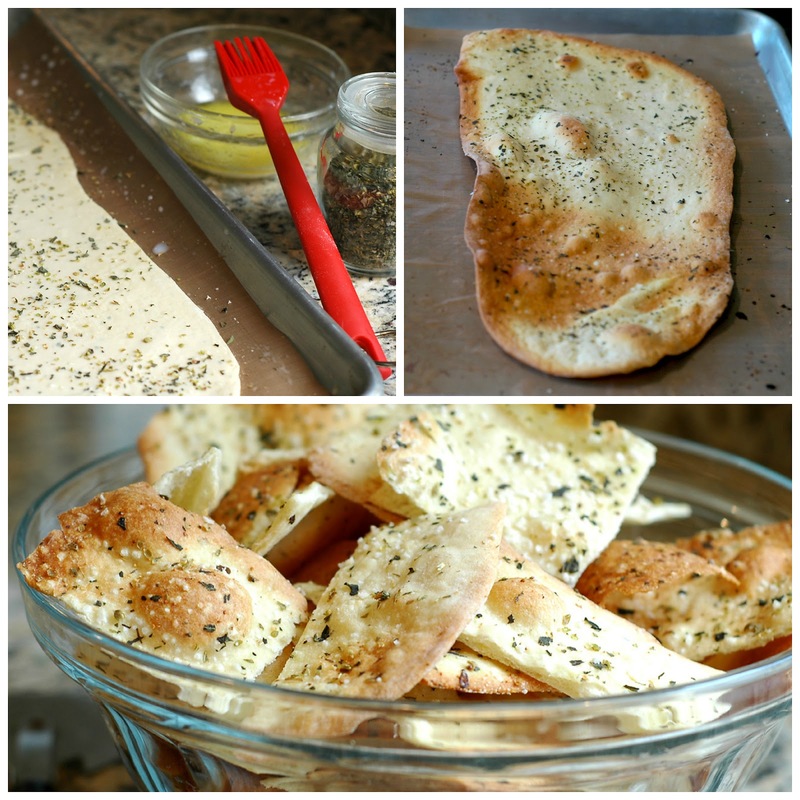 I make rosemary flatbread all the time, but never thin enough to consider it a cracker...that may change in the near future! I have long been intimidated by crackers. You've said tears are o.k.! I'm taking you at your word. You'll know if I have success as I'll post my efforts and give you the credit!! I've done that too. And then sat there frantically trying to make the post "right". I've made crackers exactly once and felt so proud of myself for not buying chemical laden boxes at the store. These sound wonderful and I must give them a try. Pinned. Oh, yum! These look delicious. Those look and sound yummy - love good crackers. Thanks for sharing. I love these crackers look delicious!! These are perfect for munching on before dinner, after dinner or any time. I love this recipe because they look great but also seem like there quick and easy to make. Thanks for sharing the recipe. 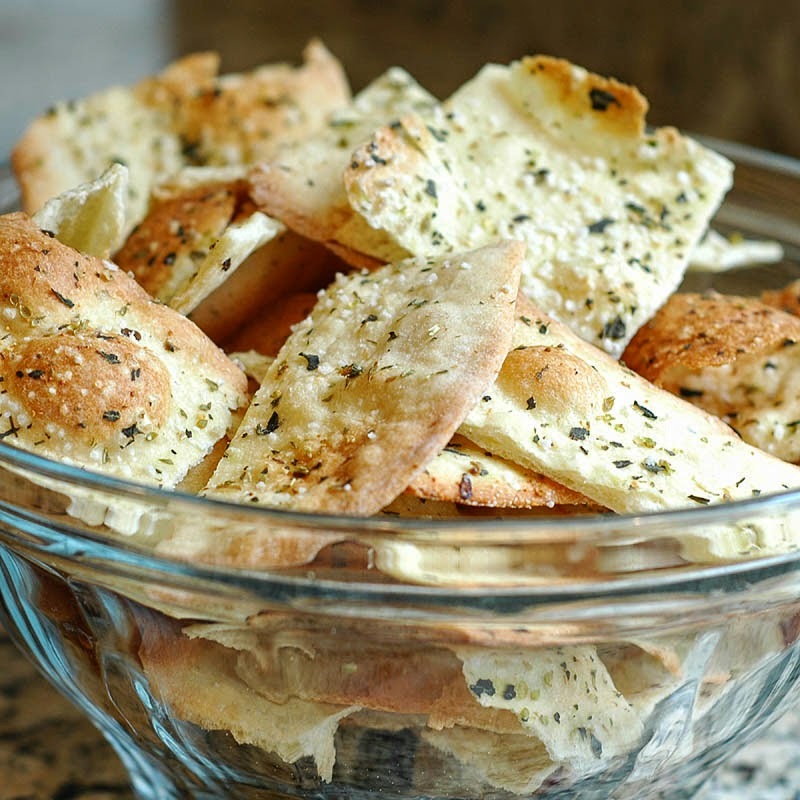 There really is nothing better than fresh baked bread, except maybe fresh baked crackers. These crackers would be an excellent accompaniment to wine and cheese. OOh, these look delightful! I know that I would definitely enjoy these! And I don't think they would last a week in my house! Susan, these crackers look so beautifully crunchy and irresistible! Wonderful clicks!!! Oh yes I have totally been there and done that in terms of premature publishing! But if anything it only whet our appetite for these crackers, which look fabulous! Great looking crackers. I'm so happy to have this recipe. My MIL made a similar one but I lost her recipe years ago. Que crujientitos y gustosos con esas hierbas. It took me years to make crackers because I always said, why bother when you can buy them. Then I made them and was shocked how good they were. This is a great recipe and I can't wait to try it. I made crackers from Peter Reinhart's book once. I like making them at home whenever I get a chance because I can play with the toppings as I like. Yours looks wonderful, I have to search for that cheese you are talking about! It has happened to me many times Susan don't worry! Especially when I am in a hurry! Your crackers are amazing! They look crispy perfect for a dive into a homemade dip! Your crackers look terrific and I bet they taste even better. So even a non-baker can make these? They look fantastic! I could munch on those with cheese and hummus any time. Oh my but these do look terrific and your photos are wonderful. I love the herb combination you used. Thanks for the shout-out too. Oh...yeah...been there, done that...with clicking the "publish" button a little too soon. But it's okay, I'm glad your post is up so soon. :) I love any carbs that are crispy. So, I know I'll love these flatbread crackers a lot, especially with those wonderful herbs and sea salt. :) Thanks for sharing. I can't wait to make some. Happy Friday and have a great weekend ahead. I could eat these for dinner every single night!!! I imagine I can smell them - and they smell delicious! I have never made crackers. They look wonderful! Oh these look amazing! Perfect with cheese!! And yes, I've hit the publish button way too many times before the post was done. I also do that occasionally on those emails, too! Have a great week. I've only made crackers once and I was very happy with them. Can't wait to try these, they look fabulous. Susan these crackers look great...I love the herbs on it...these are always good to have available for anytime meal. If you sew, you have a tracer wheel in your sewing box. I use this to mark my crackers into shapes, usually just squares, before I bake the crackers. Then they break easily after cooling. Great idea, Shirley, but I don't sew. I do have a pastry wheel, however. Perhaps that would work too.